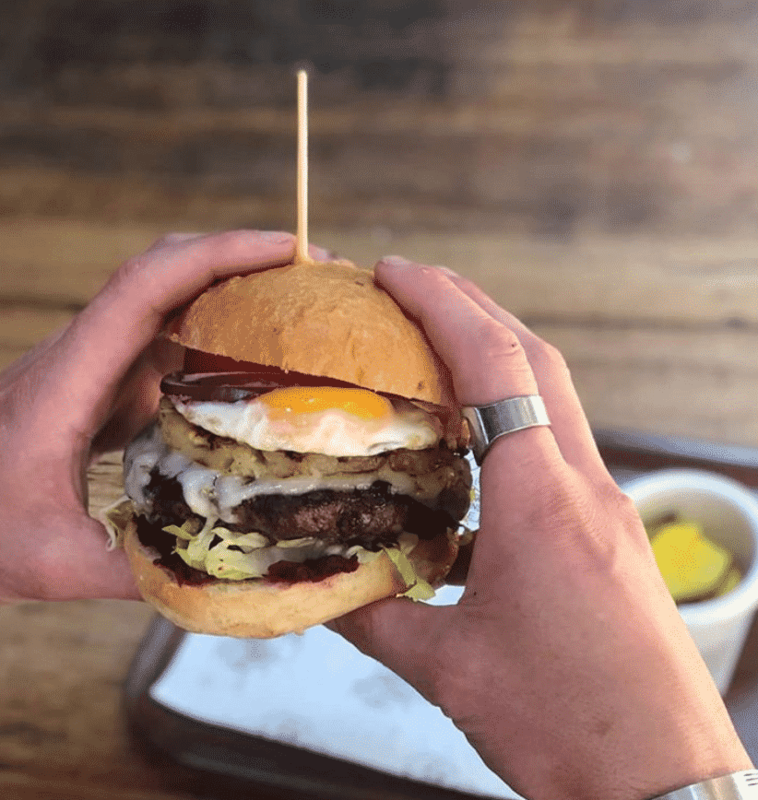 While food comes in many shapes and sizes, nothing beats the taste of a good burger and when it comes to burgers in Melbourne you have plenty to choose from. 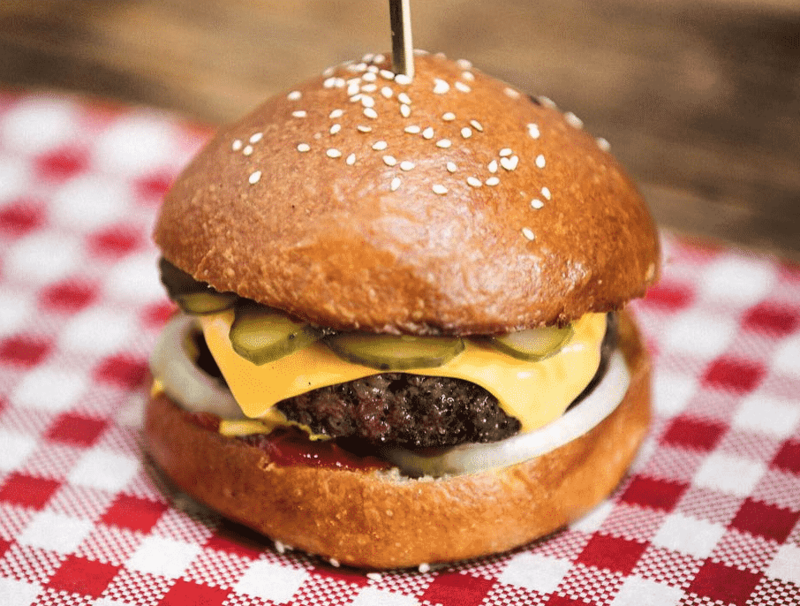 From the small perfectly formed patty to the huge tottering tower stuffed full of toppings, we love ’em all. 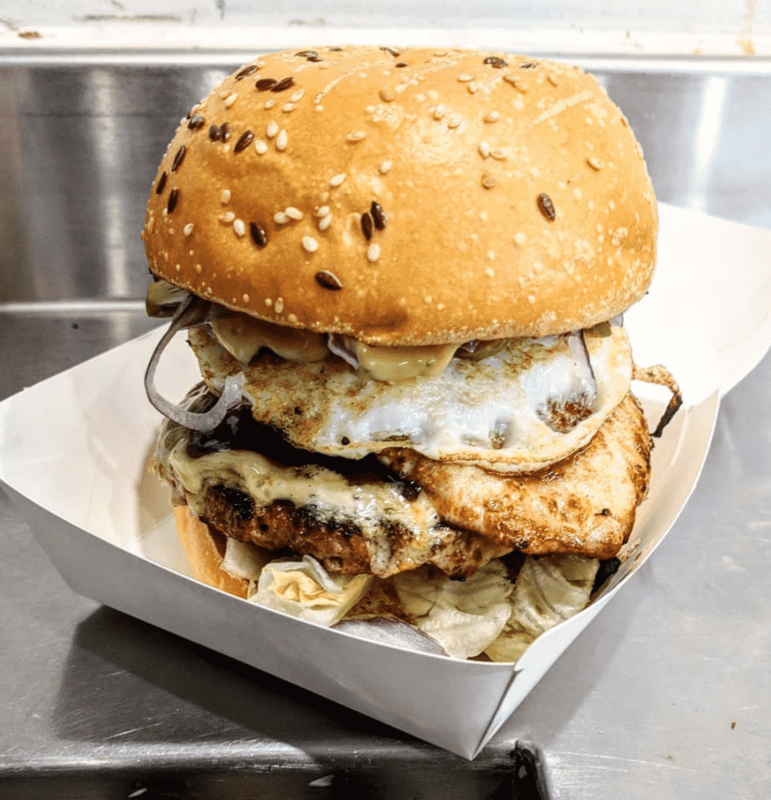 While everybody has their favourite and the list is sure to split opinion, the Big 7 Travel team has done the hard work for you and ranked the 25 best burgers in Melbourne for 2019. All you have to do now is go and eat them all! 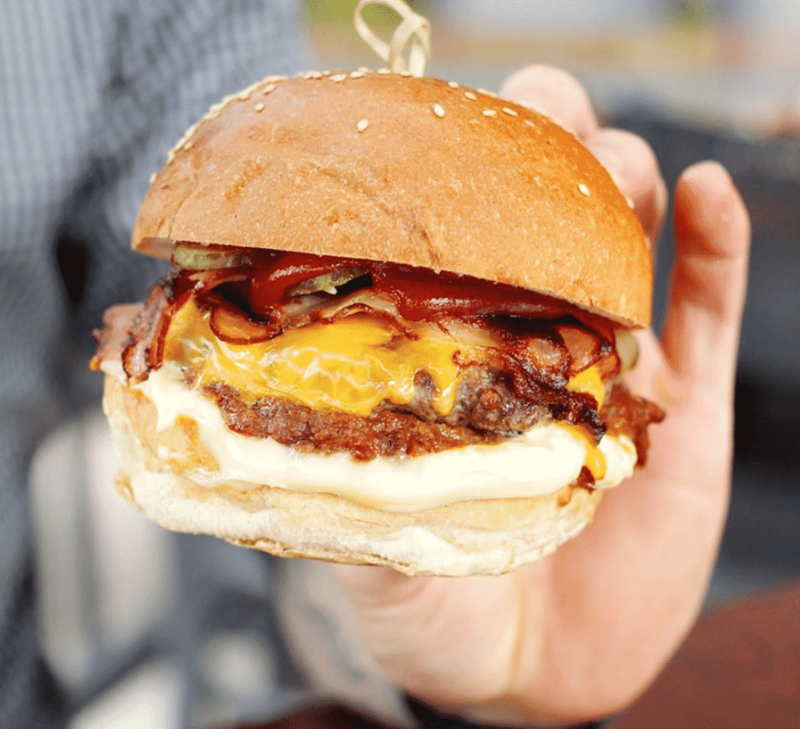 Kustom Burgers have a simple selection of classic burgers which focus on super high quality patties. Throw in some of their deep fried pickles on the side and you’re in for a real treat. 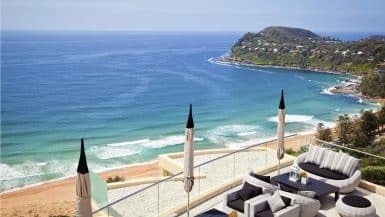 This is a brilliant place to hang out for everything from beers to high-end food or cocktails. But if you eat only eat one thing when you come here make sure it’s the burger. 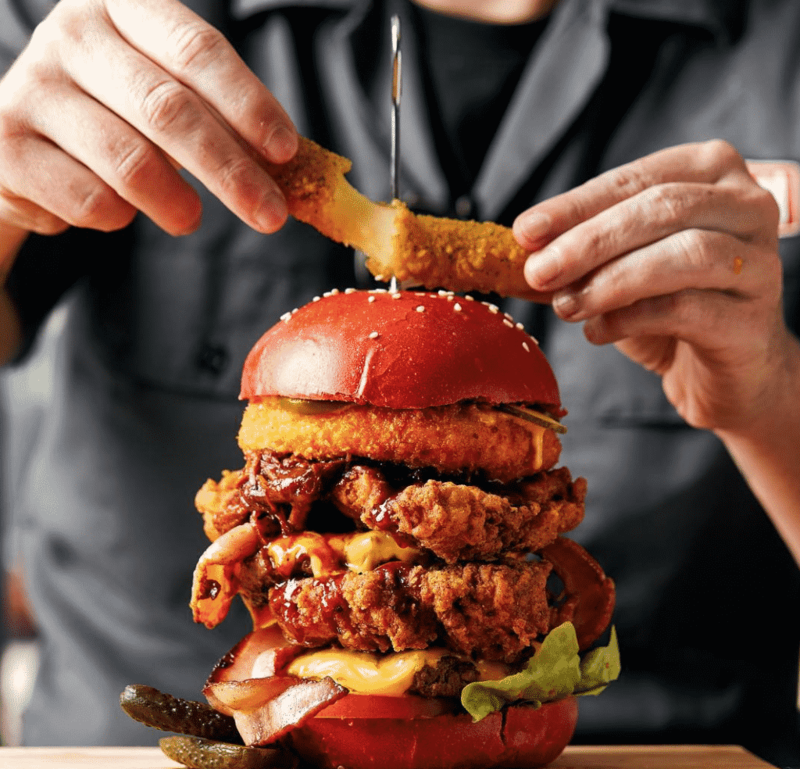 A burger for those people who love their buns stuffed to the absolute max with toppings. Make your own unique bun or go for one of their barely credible creations which are simply off the charts. 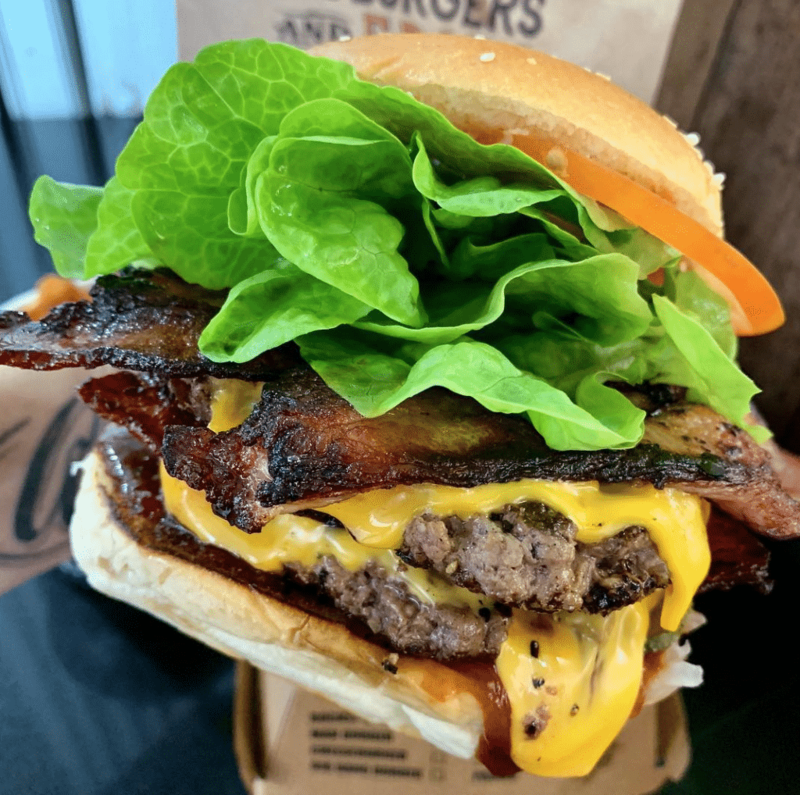 LA Burgers take inspiration from the classic American-style burger and boy do they do it well. Throw in one of their amazing shakes and you have a meal fit for a king or queen. They have eight types of beef burger on the menu as well as a couple of chicken versions. 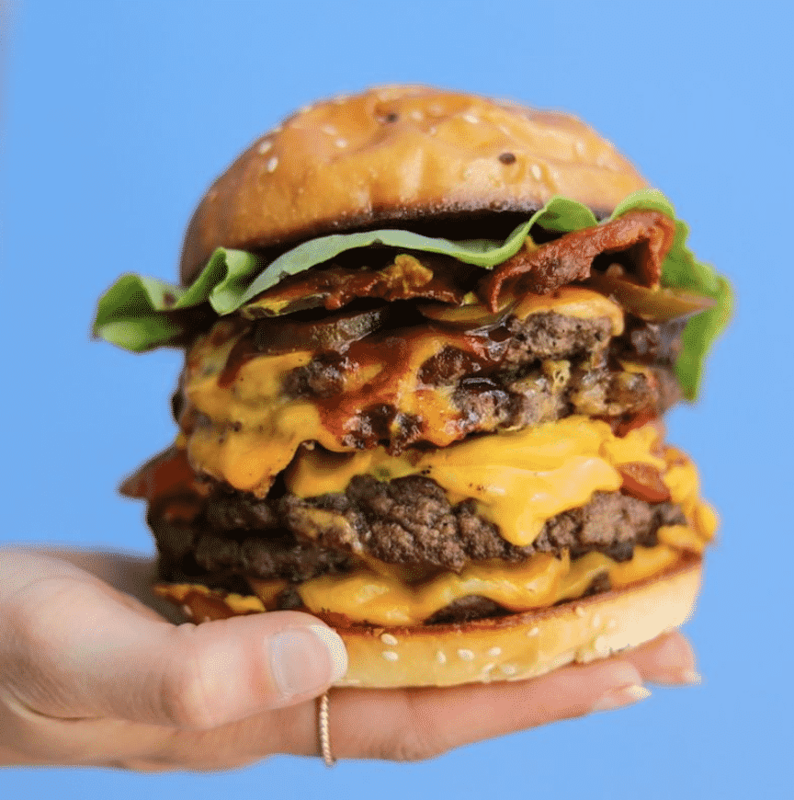 Simpsons stacks them super high and the burgers are always full of flavour. The perfect delivery option if you’ve had a few too many drinks the night before. 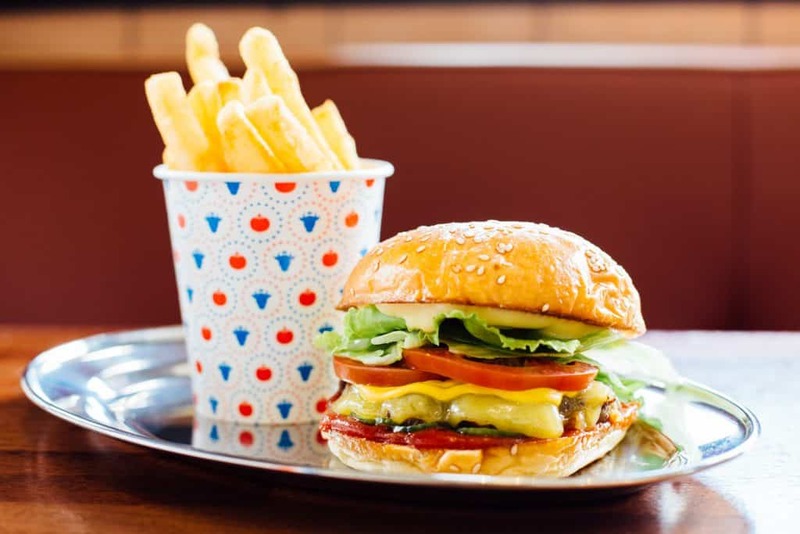 Melbourne is home to Trunk’s American diner, where the burger is the absolute star of the show. 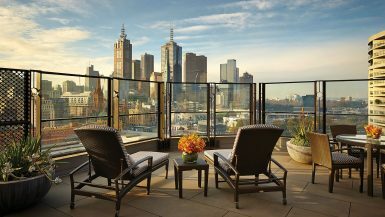 Throw in the biggest beer garden in the CBD and you are onto a total winner here. 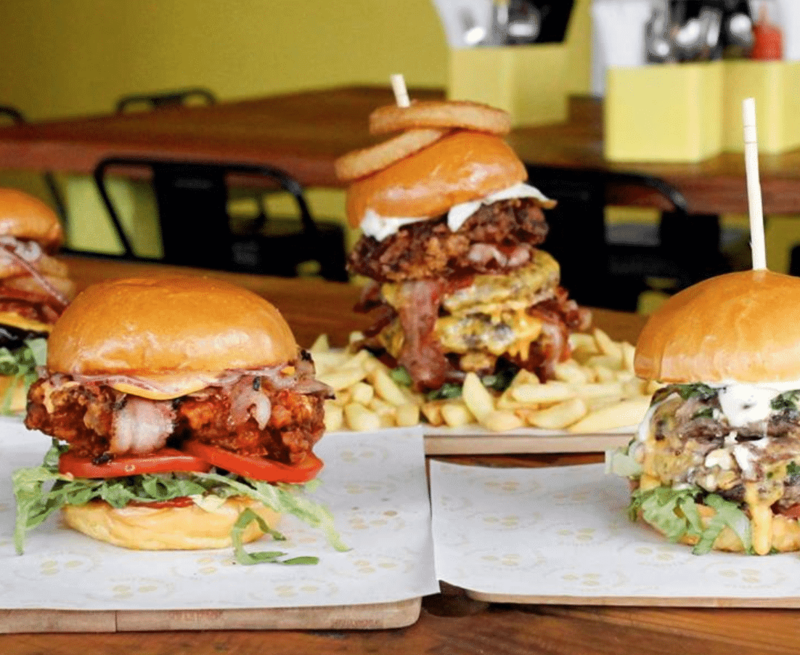 Their shops and trucks have a passionate local following who love them for their amazing burgers, shakes and fries. Keep an eye on their social media to see where their beautifully designed trucks will be next. This spot is pretty much a hole in the wall but it serves some of the most amazing creations you are ever likely to see. 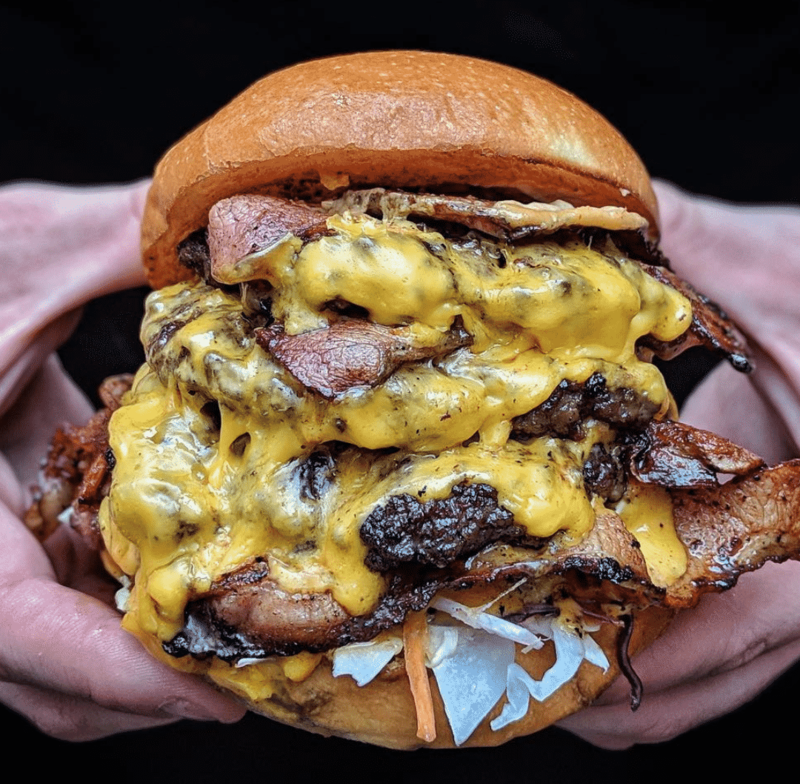 You’d better book a gym session after one of these burgers but it’ll be worth every single bite. 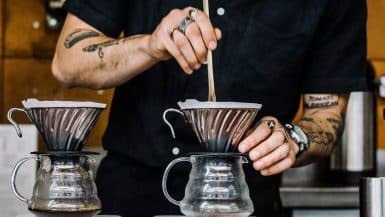 Cool Bean Kitchen might be a bit of the way for some people in Moorabbin but it’s well worth getting here by plane, train or automobile. However you make the journey, just get here somehow. Absolutely bursting full of flavour. 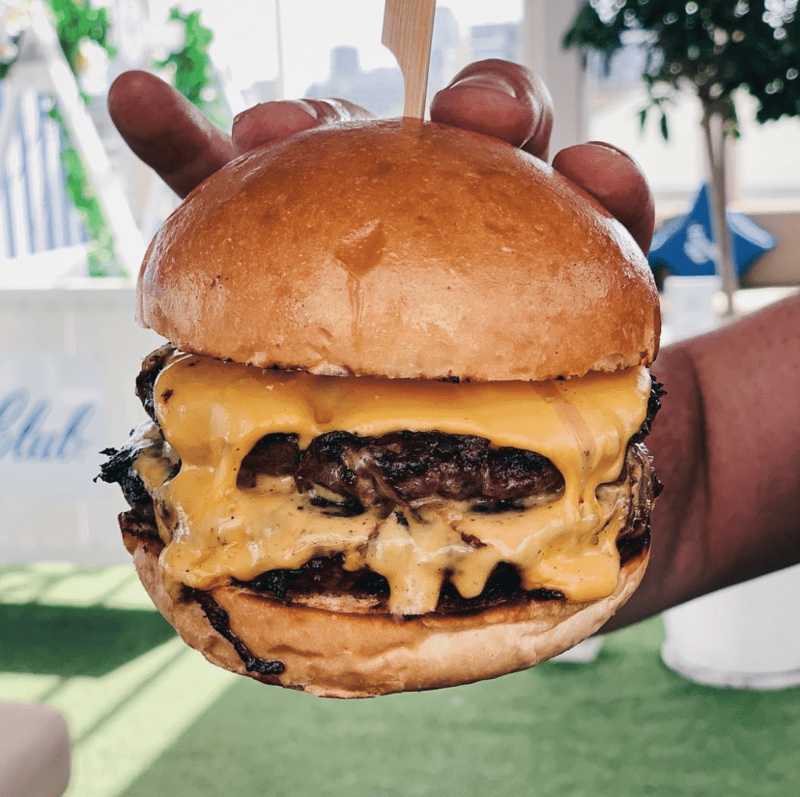 The magic about these burgers is the signature blend Wagyu and Angus beef patties and sandwiching them between layers of 100% fresh Aussie ingredients. Sheer perfection. 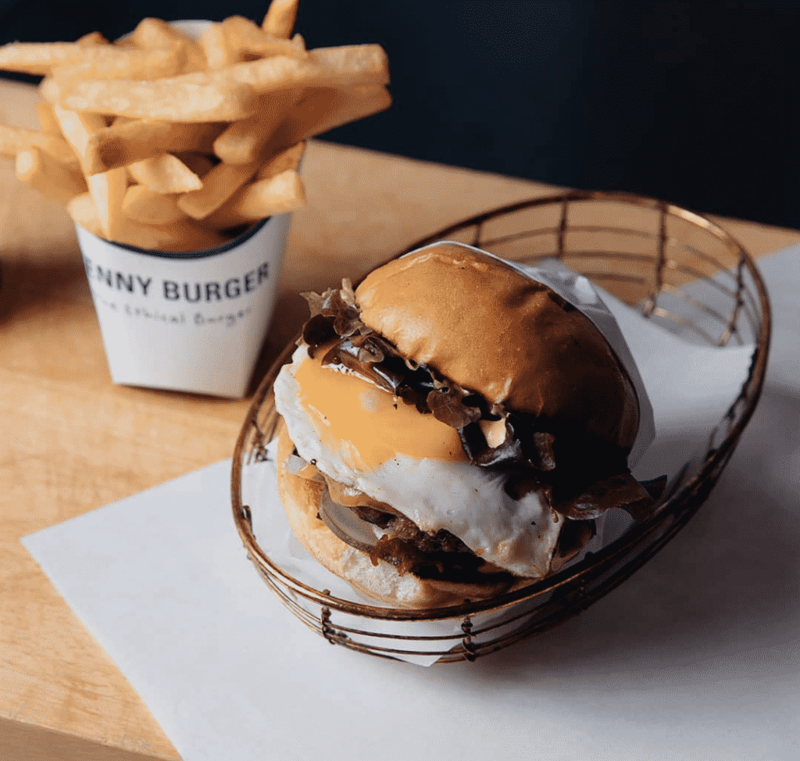 Benny Burger place a big focus on perfection in everything, from their beef to the packaging they use being sustainable. The good news is that doesn’t mean any compromise on flavour and taste. 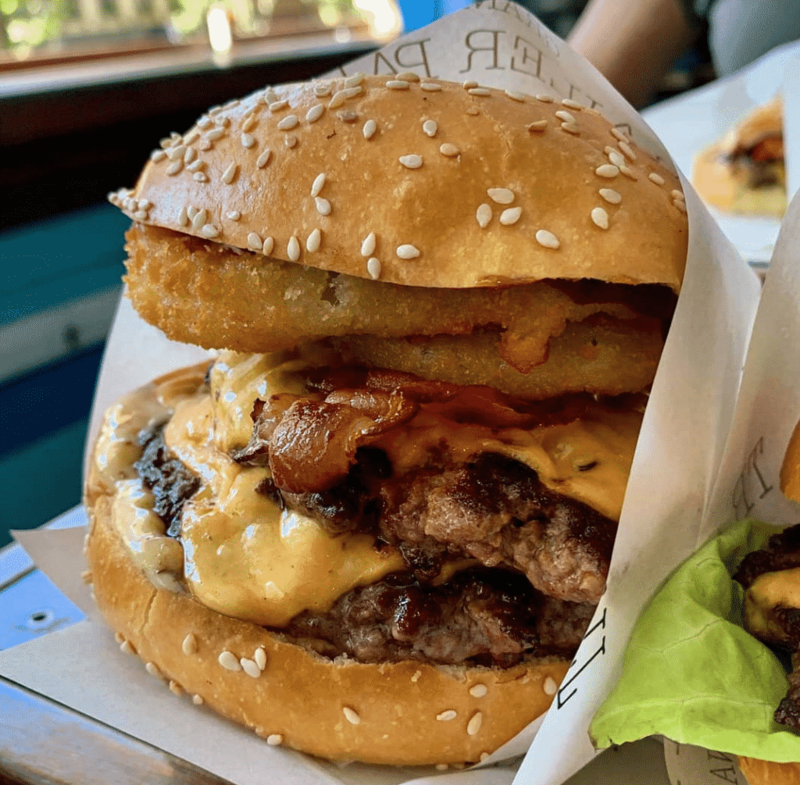 Their burgers are so pretty that you simply have to photograph them before eating but that’s no easy task given the hunk of delicious dripping perfection sitting in front of you. 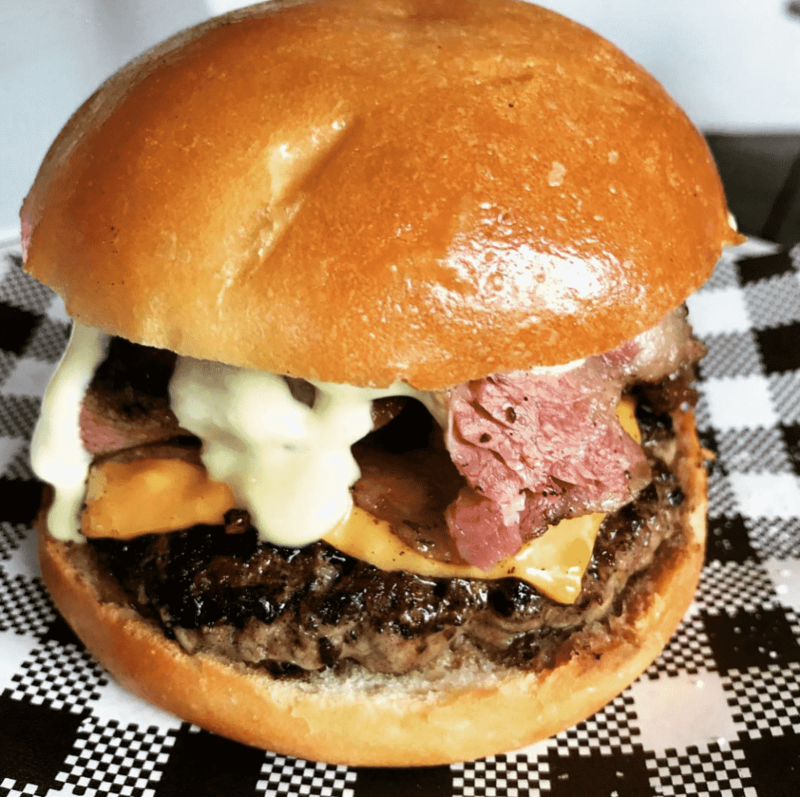 Andrew’s Hamburgers has two locations in Melbourne and some of the biggest and tastiest burgers you’ll ever come across. It get special marks for its huge range of drinks, including unusual Colas and some superb shakes. One for the chicken lovers and even veggies. 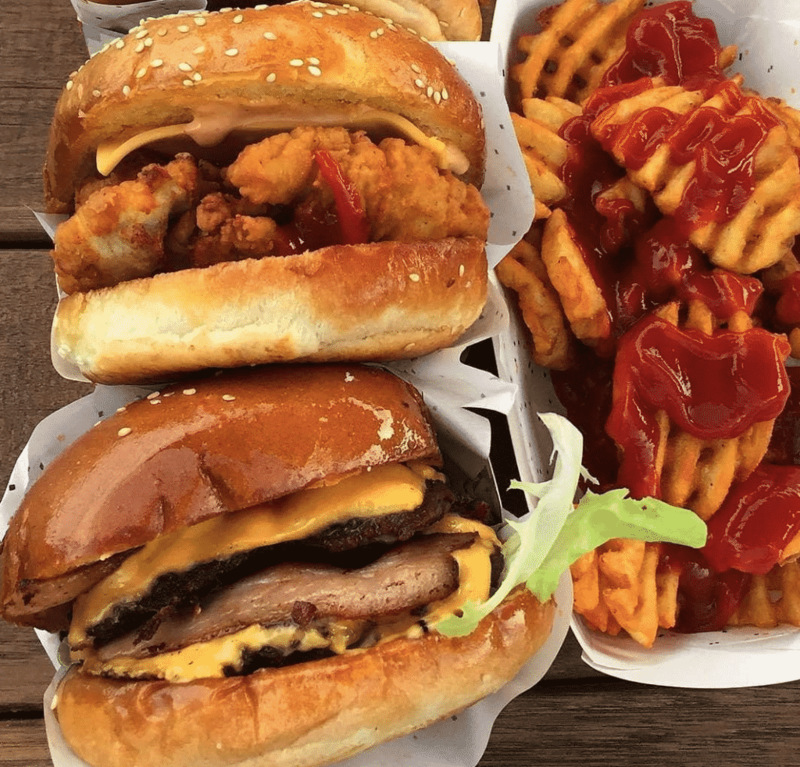 This fried chicken joint serves up some seriously tasty burgers and their “mock meat” attracts veggies from all over Melbourne for an incredible treat. They all come in either wrap or burger format. 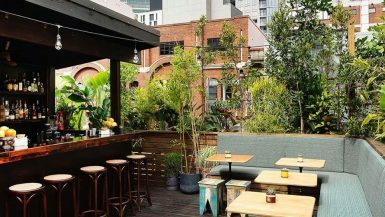 This epic spot is an east-coast-inspired burger-and-bar diner serving up Melbourne’s tastiest burgers alongside signature spiked shakes, cocktails and desserts. 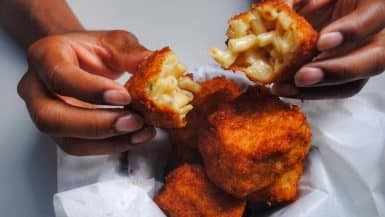 Expect incredibly juicy meat and ounces of oozing cheese. 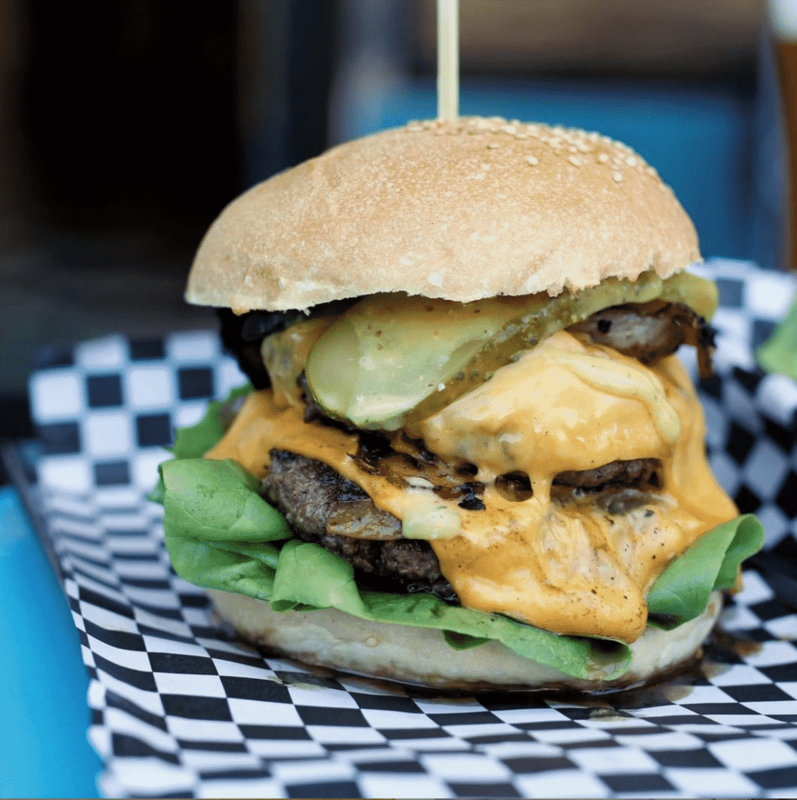 As pretty as a modern-day version of a diner can be, Juanita Peaches does superb cheeseburgers: a grass-fed beef patty, American cheese, dill pickles and mustard mayo combine for a taste explosion. 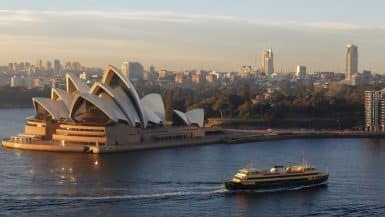 Show us a cooler spot in any city in the world and we just won’t believe you. 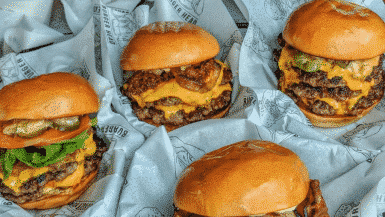 The burgers being served five stories above the ground in train carriages is one thing, but add in how good they taste and you’ll be blown away by the experience from start to finish. 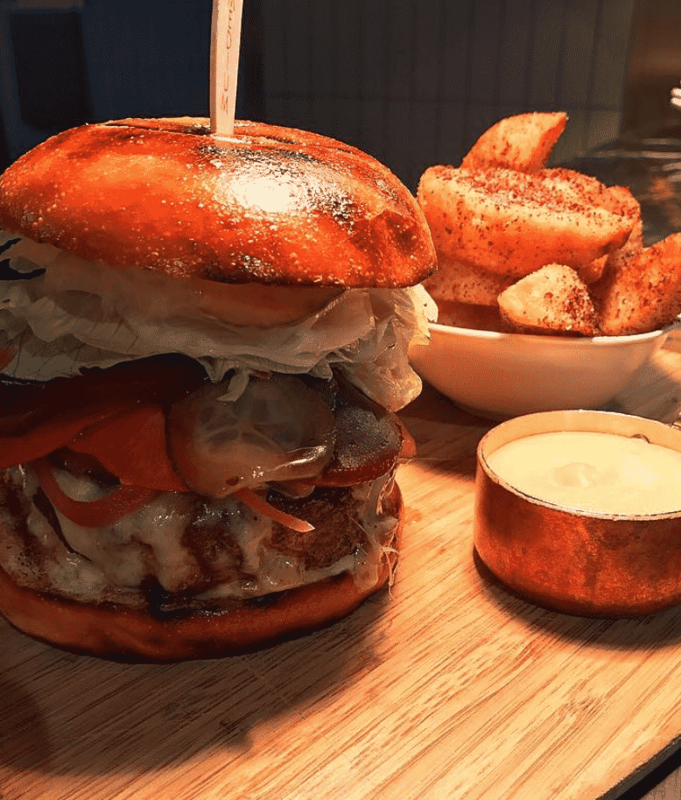 Most people come here for the super high-end cuts of steak, but as you’d expect with chefs so good at handling beef they also do a mean burger. Come on a Sunday for their burger and a pot deal. 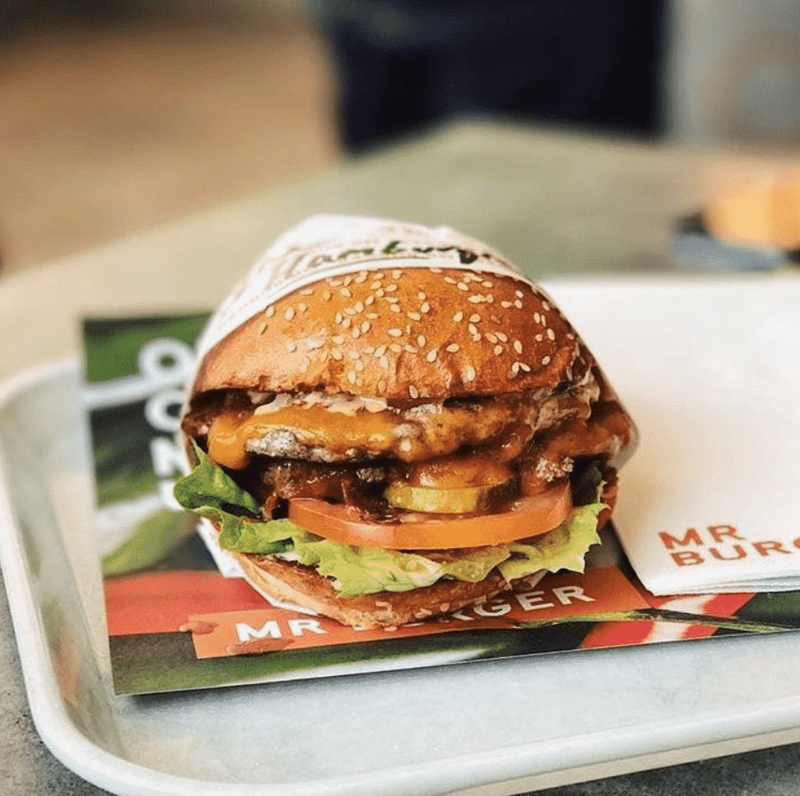 With a mixture of dine-in stores and food trucks, you’ll never be too far away from their burgers and that’s a really good thing. Huge on flavour and perfect for sliding into your mouth all in one go. 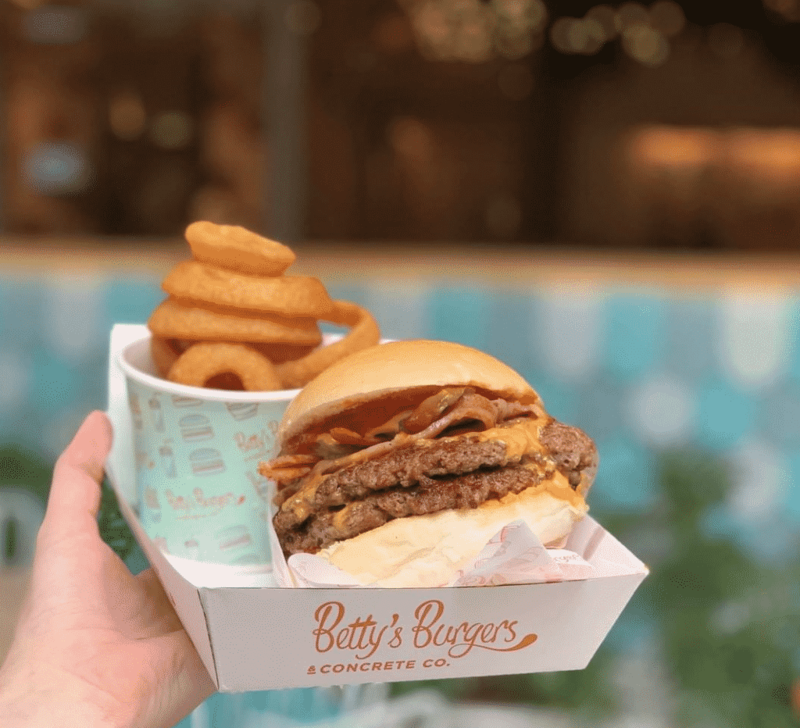 You might know them for their freak shakes which light up your Instagram feed but their burgers are every bit as good too. Finish a whole shake a and a burger and you’ll be doing well! Food coma central, but oh-so worth it. A super classic burger shack, serving the freshest, juiciest and most mouth-watering burgers at locations all over the country now. There’s now three locations in the city but in truth there could never be enough. Super tasty. 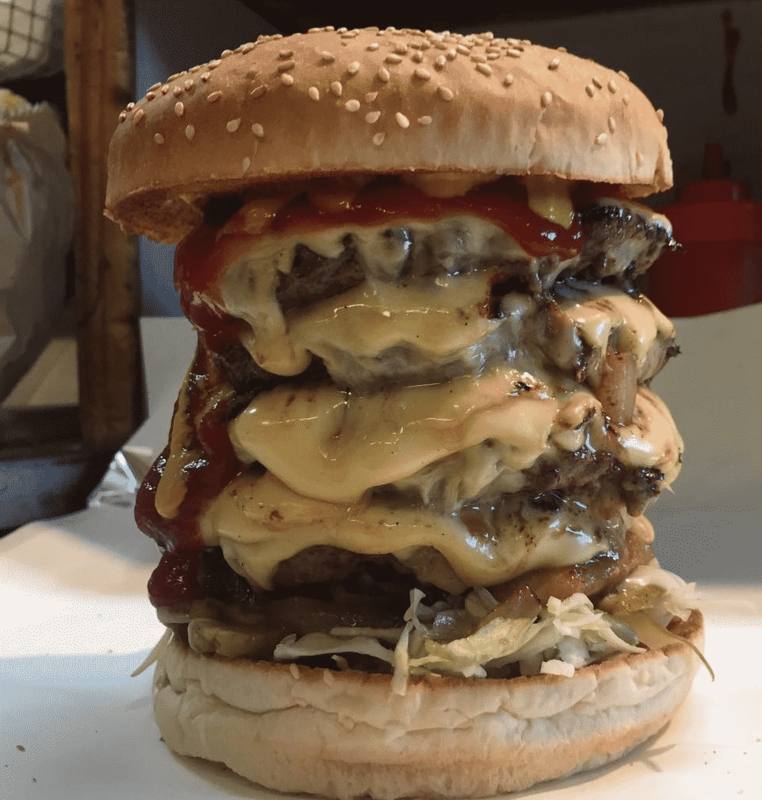 Royal Stacks have three locations where you can pick up these monster burgers that are outrageously big. You couldn’t pack in more flavour if you tried – the sides are seriously epic too. 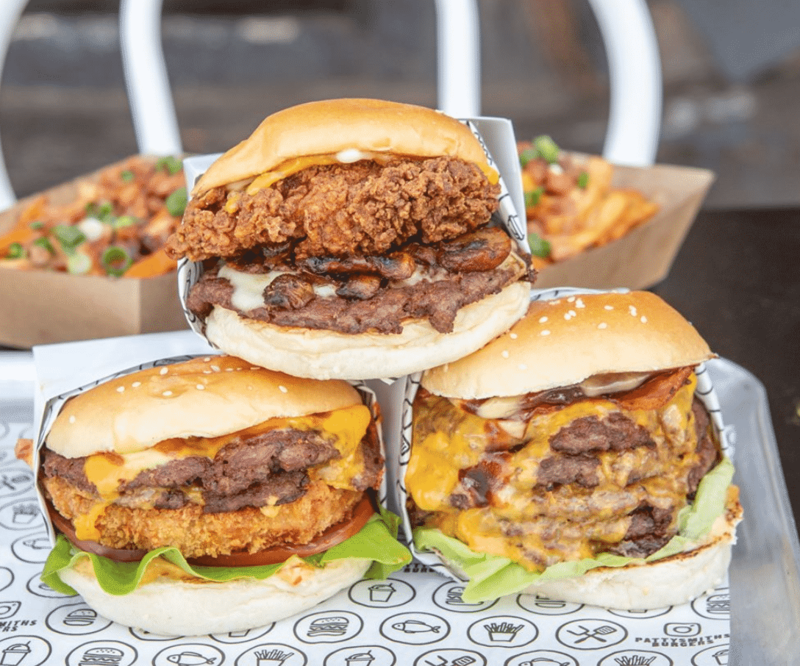 There’s two of these wildly popular restaurants in Melbourne, and now 8 Bit have just opened their first in Sydney. The burgers are the absolute perfect size for getting into your mouth in one go and absolutely ooze flavour. 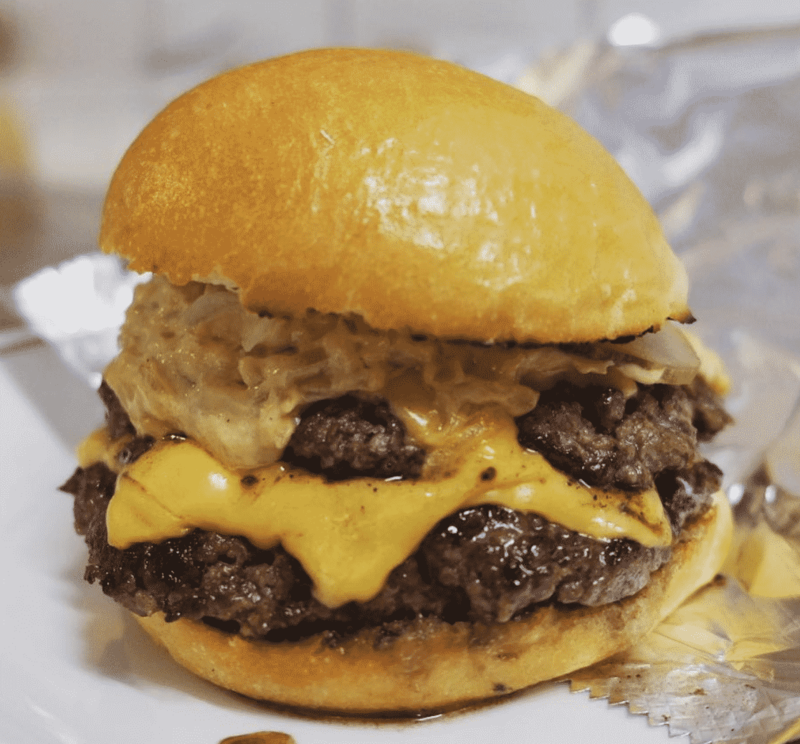 What started life as a food truck has evolved into one of the best goddamn burgers in the city. 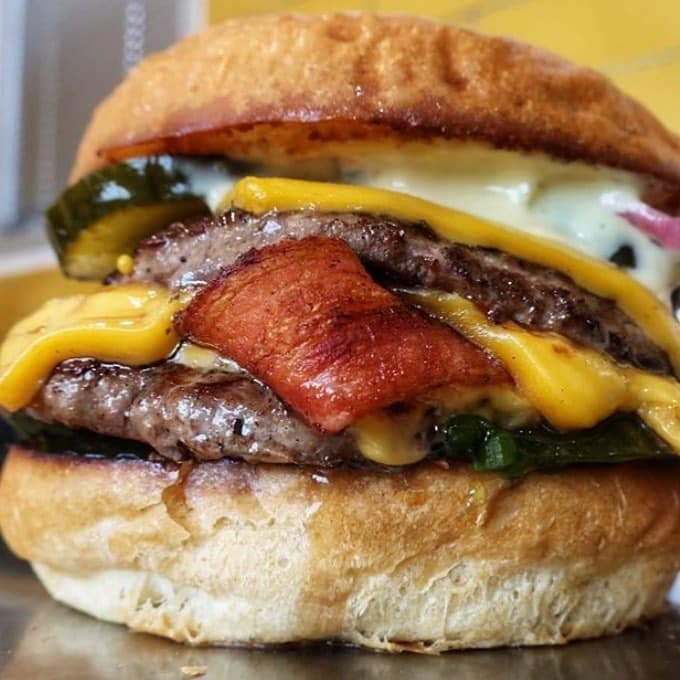 Do what their name suggests and go for the Pickle Monster: housemade pickles, with pickle mayo, double beef patties, triple cheese, bacon, pickle relish, pickled onions and heaps of dill pickles. 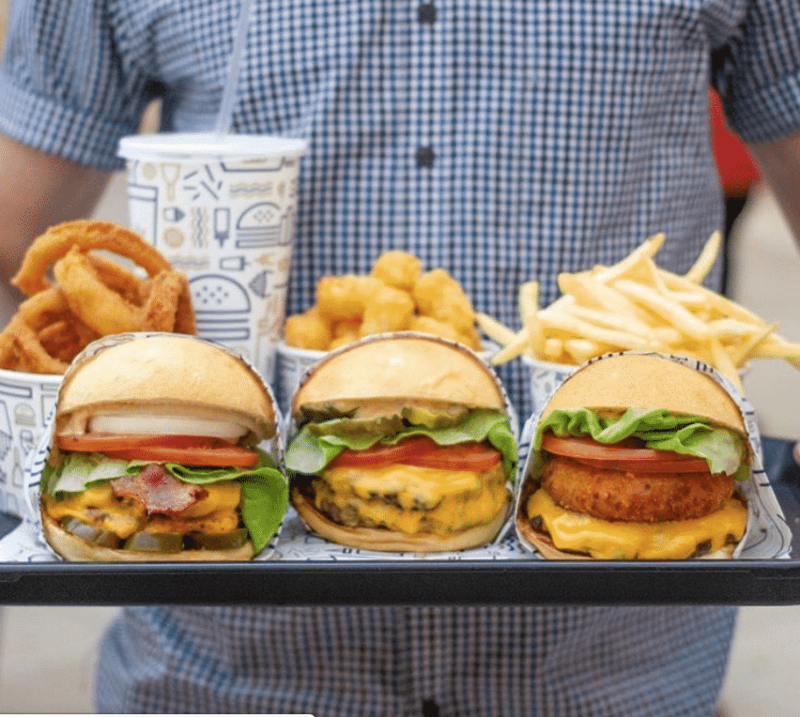 Huxtaburger is one of the original burger spots setting the standard for the entire city and indeed possibly the country. They’ve been cooking up perfect burgers for years and the standards just never slip. 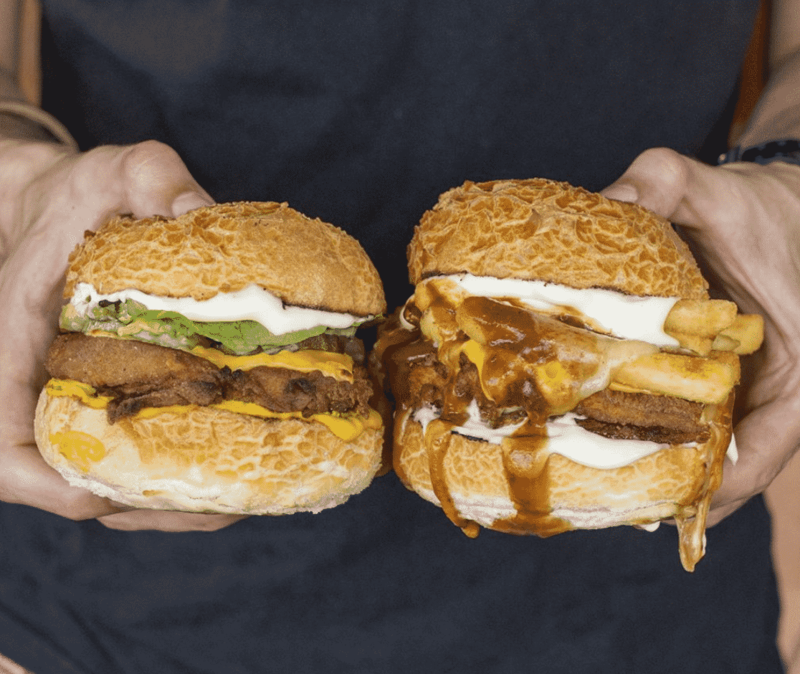 If you only eat one burger in Melbourne we beg you to try this one.